When you make a puzzle, the nondescript blue pieces that fill out the sky are as important as the detailed and colorful ones that bring the picture to life. The genealogy of Jesus tracing His ancestry through Joseph to Adam contains a lot of those nondescript pieces with names mentioned nowhere else in the Bible. We know nothing more about these people than that they’re part of Jesus’ family tree. But each name on that list is significant because each played a part in establishing Jesus as the Son of Man and a legitimate stand-in as a sacrifice for the human race. You are also part of a human genealogy. If you had the knowledge, you could trace your roots back to the first man, Adam, in a physical sense. 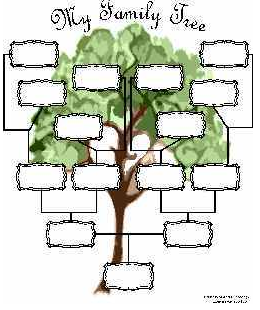 Did you know you have another family tree as well? If you have accepted Jesus as your Savior and been born again you have a spiritual genealogy. Whose names are on that list – your parents? Grandparents? A Sunday school teacher? A TV pastor? John or Paul from the Bible? Spend some time today, thinking about and thanking God for the people who helped birth you into God’s forever family. And ask yourself, have I begotten anyone? PRAYER: Dear God, thank You for my spiritual parents. Help me to beget spiritual children of my own. Amen.